The accommodation, which extends to approximately 102sq.m/1098 sq.ft., comprises an entrance hall, guest w.c., a very spacious living room located to the front as well as a spacious sitting room overlooking the rear garden. 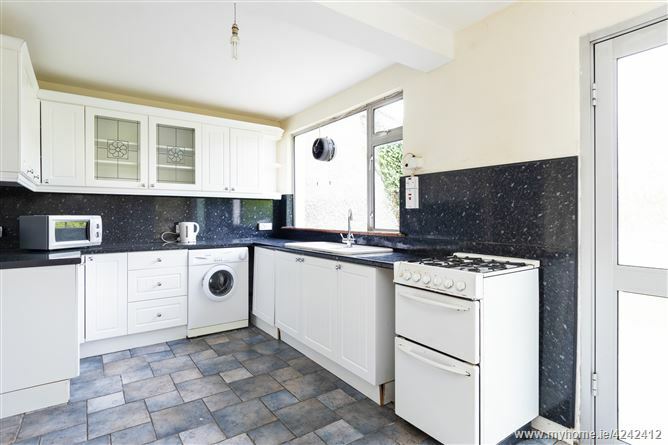 The kitchen is also located to the rear and has access to the garage and to the rear garden. On the first floor there are three bedrooms (two double and one generous single room) and a very spacious bathroom with separate shower cubicle. Its convenient location cannot be overstated. A mere stroll to the LUAS allowing for circa 10 minutes journey time to St. Stephen’s Green and 5 minutes journey time to Dundrum Town Centre. 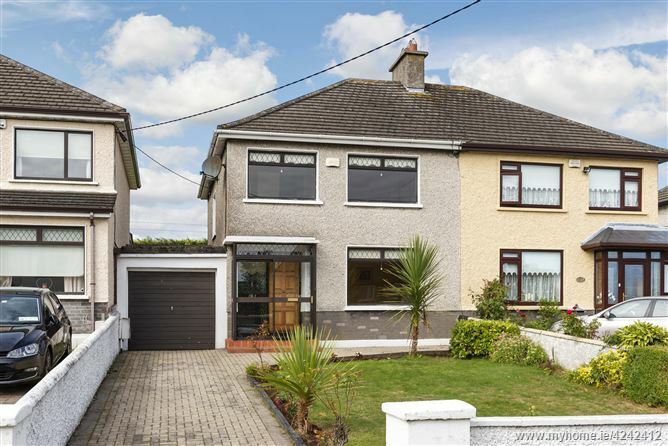 There is a wide selection of highly respected national and secondary schools in the locality as well as easy access to UCD. Milltown Golf Club is close-by as is the well known “Dropping Well Pub and Restaurant”. 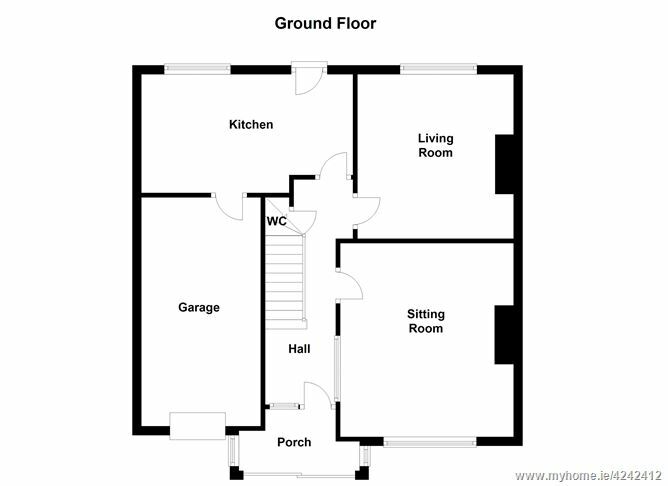 Spacious bright entrance hall with under stairs storage and wooden floor. 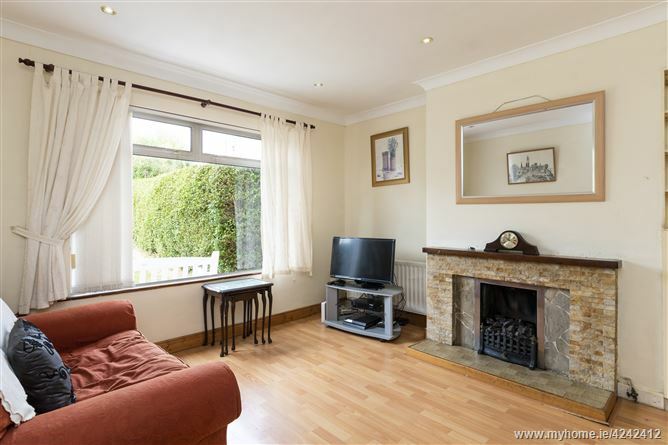 Very spacious family room with feature fireplace/gas coal effect fire, down lighters and wooden floor. 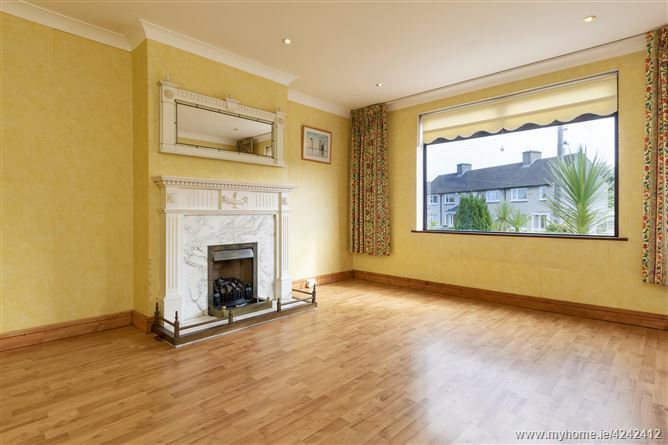 Spacious sitting room with tiled fireplace/gas coal effect fire, down lighters and wooden floor. Fully fitted kitchen with range of floor and wall units, marble worktop and matching splash-back, tiled floor, plumbed for washing machine. Access from kitchen to garage. Bright spacious landing with access to attic. 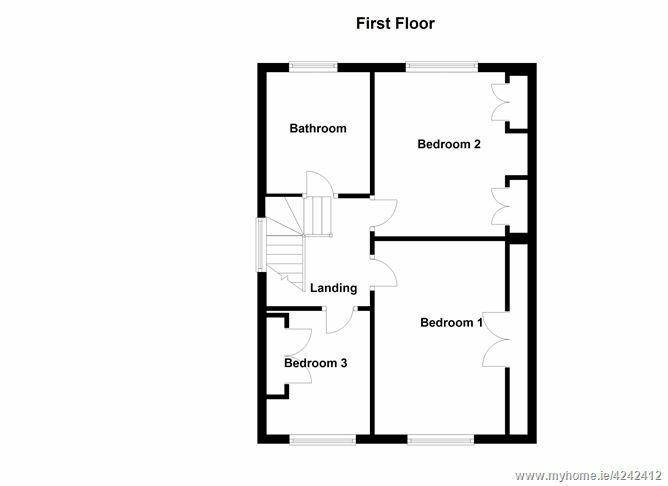 Double bedroom with built-in wardrobes, located to the front. 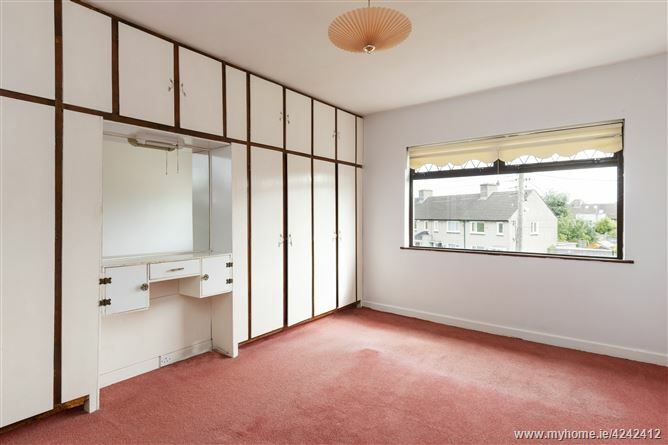 Double bedroom with built-in wardrobes, located to the rear. 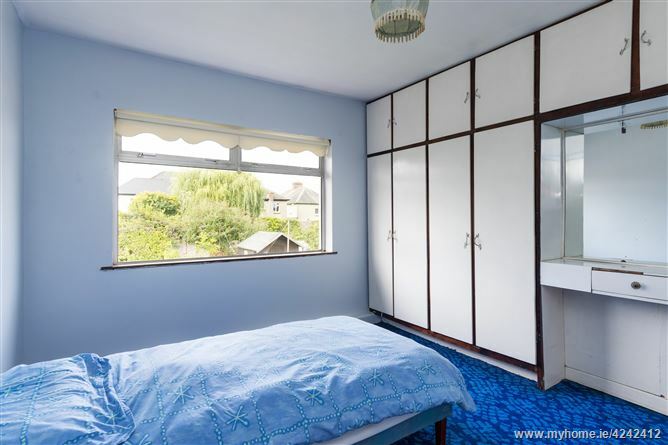 Generous single bedroom with built-in wardrobe, located to the front. 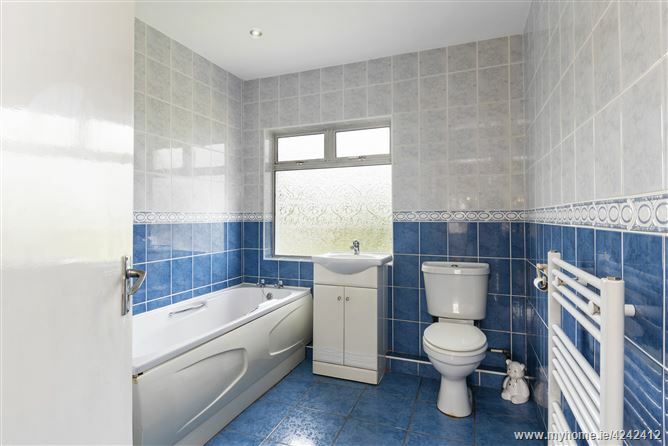 Very spacious fully tiled bathroom with bath, separate shower cubicle/electric shower, w.c., w.h.b., with storage press. Downlighters. Garage to side 5.09m x 2.45 with up-and-over door. Large front garden with cobble-locked driveway with parking for a few cars. 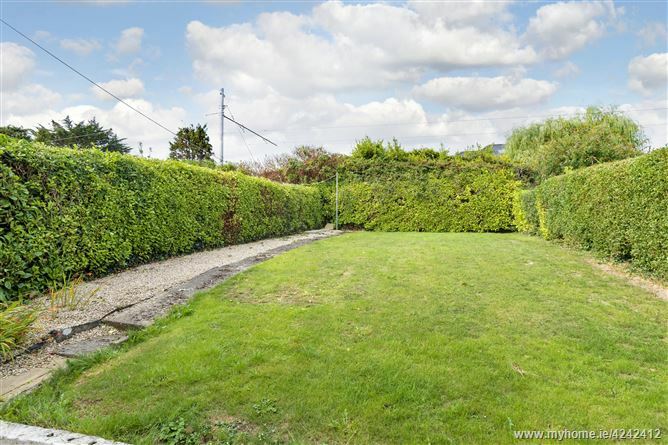 Lovely private west facing rear garden c. 50ft/14m x 29ft/9m with paved patio area. Not overlooked. From the Dropping Well travel onto the Lower Churchtown Road and take immediate left turn into Patrick Doyle Road, next right onto St. Columbanus Road, continue straight and No. 181 is located on the right hand side identified by a “Mason Estates” for sale sign.